She is picturesque in her own way. She is also a collagen-pumped attention-seeking celeb. And her covered in skin-tight silver lycra is probably not what Steve Jobs or his Apple engineers had in mind when they designed the iPod. 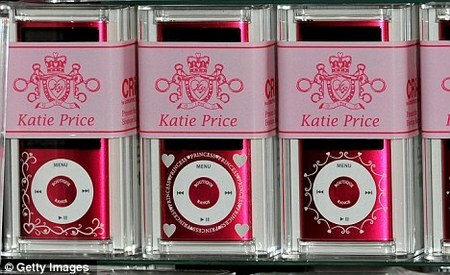 The Katie Price iPods Classics are on sale from her website. Poll: have you stalked celebrities on Google Streetview?